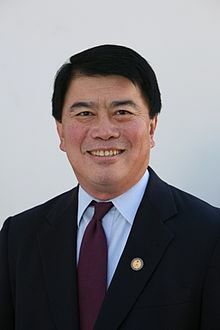 David Wu (born April 8, 1955) is a Democratic member of the United States House of Representatives for Oregon, representing the state's First Congressional District, which includes a small section of western Multnomah County and all of Yamhill, Columbia, Clatsop and Washington Counties. As an ethnic Han Chinese from Taiwan, Wu is the first Chinese American and the first Taiwanese American member of the House of Representatives. This page was last edited on 22 February 2017, at 22:59.